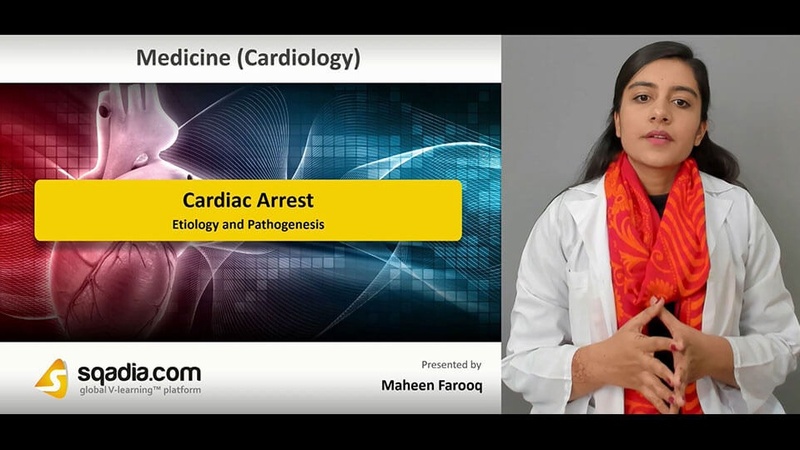 This sqadia.com medical video lecture provides an insight into a medical condition entitled cardiac arrest. All the significant aspects regarding this ailment have been brought into consideration in this lecture. These range from a brief overview of what this malady is and etiologic factors to the underlying pathogenesis. In addition to this, a range of risk factors alongside the complications which can be associated with sudden cardiac arrest have been elucidated. Moreover, clinical presentation and diagnostic techniques (EEG, ECG) and the long-term management strategies have also been delineated. This section focuses on the definition and an overview about a medical condition termed as cardiac arrest. In the beginning, this malady has been defined as the abrupt loss of heart functioning and breathing. Moving further, certain features which can be associated with this disorder have been presented and discussed. It can be contributed to by the electrical disturbances in the heart. Towards the end, epidemiology has been talked about. Etiology and pathogenesis are the prime objective of this section. 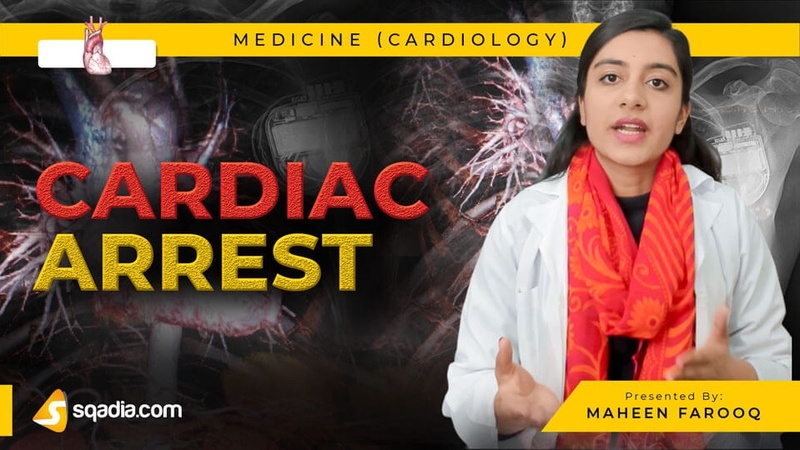 The educator commences by shedding light upon the etiologic factors which can be cardiac arrythmias and disruption in the electrical conductance of heart. Moreover, cardiomyopathy and Brugada’s and long QT syndrome has also been highlighted. Additionally, the underlying pathogenesis has also bee elaborated comprehensively. A detailed discussion on structural or functional substrate, transient initiating event along with arrythmia mechanisms and fatal arrythmias has been carried out. Conclusively, the prognosis of cardiac arrest has been brought forward. The focal point of this section is on the risk factors and complications. Initially, risk factors have been expansively elaborated ranging from family history, smoking to hypertension and diabetes. In addition to this, certain complications have also been talked about. Brain damage being one of them. Furthermore, prevention has also been taken an account of. The key point of emphasis of this section is on the clinical features and diagnosis. In the beginning, signs and symptoms have been mentioned. Amongst the signs which occur before sudden cardiac arrest, palpitations and chest discomfort has been explained. Additionally, a range of diagnostic techniques have been highlighted. These include electrocardiogram (ECG), blood tests and echocardiogram (EEG). Management has been elucidated in this section. Cardiopulmonary resuscitation (CPR) and defibrillation has been comprehensively explained. This is followed by an account on the ABCDE strategy employed in management. Long-term management strategies including antiarrhythmic drugs, beta blockers, implantable cardioverter-defibrillator (ICD) and surgery has been summed up in the end.